Adult Bible Class is held after worship every Sunday at 10:30. Join us as we study Genesis. Ladies Bible Group meets every Wednesday, at 9AM in the church library. Please come and join us as we study God’s Word. Men’s Club meets the second Thursday of the month at 7PM. Tai Chi for Health classes continue - Thursdays at 5:15PM. Birthdays: Marie S., Tami W., Wade M., and Randy D.
Wedding Anniversary: Jan and Keith H.
Thank you to LYF kids and parents who are served Easter breakfast. Thank you to the Adult Choir for providing special music Easter morning. 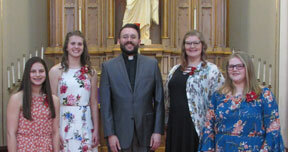 Thank you also to Sophie Wold, playing flute, Mel Schroeder, playing trumpet, and to Jodi and the Sunday-school kids for contributing to the joy of this Easter. Thanks to members of Rebecca Circle for creating the beautiful Easter garden. 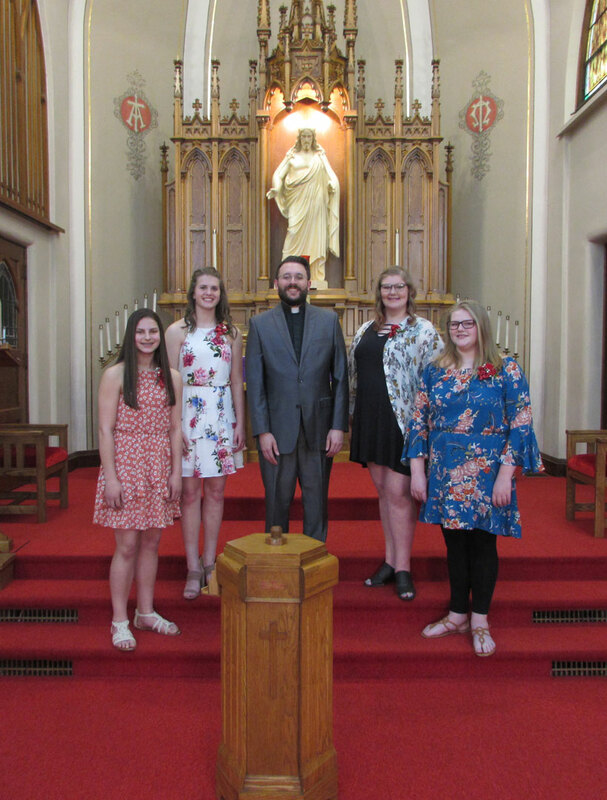 Our confirmands this year: Aspen, Mallory, Bella and Izzy. The Adult choir practice at 8:15 am before church each Sunday. Please join and Sing to the Lord! No practice next Sunday. Donations are welcome to replenish Immanuel's Good Samaritan Account. Immanuel maintains its own Good Samaritan Account and we contribute to the account in which all churches in St. Ansgar participate, (kept at City Hall). We had a wonderful opportunity to serve stangers during the blizzard in February. Those strangers have become friends with whom we'll continue to have a Christian connection. Thank you again to Sheriff Beaver and all who helped during that storm. Memorial Day is May 27th, less than two months from now. New flags for Immanuel Cemetery have been purchased. They are $20 each. Those of you who participated in funding the Cemetery Flag Project last year and would like to continue this year, please talk with Jerry Beaver. Please remember in prayer, Rev. Michael Schempf and his wife, Karen, Missionaries to Uganda. To support them financially through Immanuel, indicate their name on the memo line of you check. 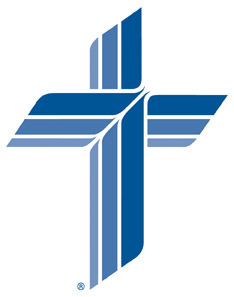 Donations can be mailed directly to Synod. Mail your check, made payable to The Lutheran Church-Missouri Synod designated with the name Schempf to the following address: The Lutheran Church - Missouri Synod, PO Box 66861, St. Louis, MO 63166-6861. Be sure to include their name, "Schempf", so the donation will specifically go to their ministry. Your help is needed to make sure offerings are designated according to your wishes. Write "missions" or "home" on the memo line at the lower left corner of your check with a corresponding dollar amount. For example: Memo: $50 missions, $50 home. ("Missions" is designated to Synodical purposes and missions. "Home" is designated to salaries and expenses). If you have questions, please talk with John Groth, Karen Steinberg or a member of the Finance Committee. Thanks. Ten percent of the offerings are put in the Repair and Maintenance budget up to a balance of $15,000. Church Council members for 2019 are: David Steinberg – President, Ivan Wold - Vice President, Renee Trettin– Secretary, Karen Steinberg– Treasurer, Jerry Beaver- Head Elder, Paul Hannam - Trustees, John Groth – Financial Sec’y, Julie Bless – Education, Bev Beaver - Stewardship, and Kendall Hansen– Evangelism. Evangelism Committee invites you to join Immanuel’s NEW Facebook page. Look for us at Immanuel Evangelical Lutheran Church – St. Ansgar Iowa, then LIKE IT. Once you LIKE IT, all posts will come directly to your Home Page. Unable to join us for worship? Watch a livestream of our service. Search for Immanuel Luthean Church St. Ansgar on YouTube or go to our website and click the YouTube icon located at the bottom of the page. Direct Deposit is available for your weekly offerings. Contact your local bank if you are interested in using this option. of all kinds are being collected by the Naomi Circle. These will be sent to Love Packages in Butler, Illinois. Love Packages is a ministry aimed at putting CHRISTIAN LITERATURE and BIBLES into the hands of people around the world who are hungry for the word of God. Place these materials in the specially marked basket in the Gathering Area. No hymnals or Quarterlies can be used. Thank you for caring and sharing.